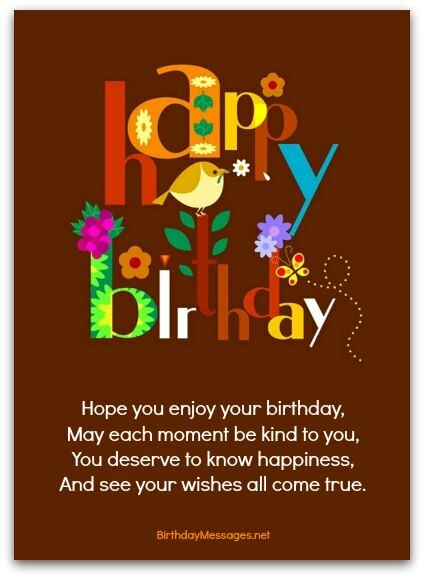 Sentimental birthday poems, like the beautifully written, original ones here, are the best birthday messages to choose...if you want to go beyond "classic" birthday wishes. Poems, by their very nature, are perfect as sentimental birthday messages. Poetry lends itself beautifully to any message of love, compassion and nostalgia, three key ingredients of any great sentimental birthday greeting. 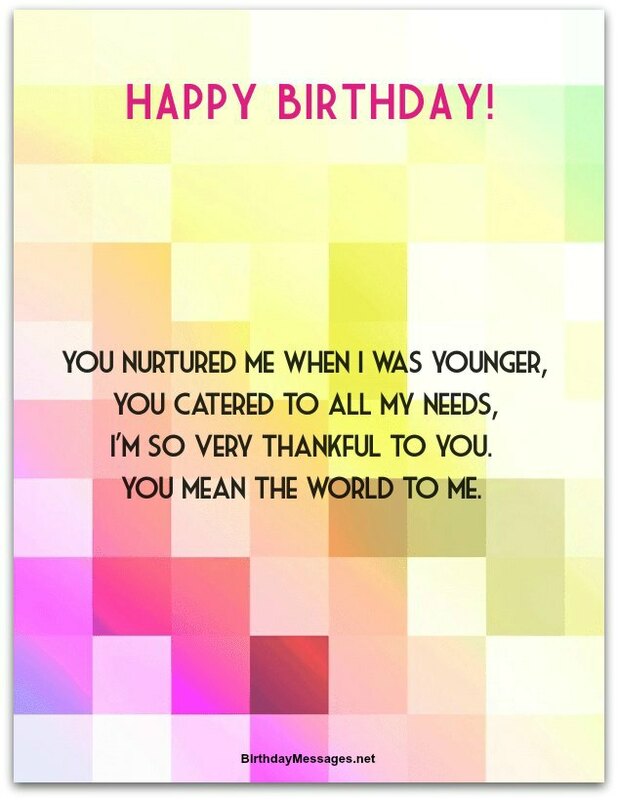 Love, compassion and nostalgia, in varying degrees, can be found in the birthday wishes here. Your job is to find the one that comes closest to the sentimental message you want to convey and resonates most with the birthday boy or girl. ...Consider why you want to go the "heartwarming" route in the first place. If you're like most people, it's probably because you consider sentimental birthday poems a safe bet. There's no denying it, that's a major plus. This route definitely prevents what most birthday message givers dread: offending the birthday boy or girl. It's almost impossible to insult anyone with a heartfelt birthday wish. More than anything else, people choose sentimental birthday messages because this type of birthday verse allows them to fully express their feelings for the birthday guy or gal, showing how much they care about him or her feel, making him or her feel special and, most importantly, loved. This is a triple benefit you just can't ignore. The only negatives here? For some people, “sentimental” birthday verses tend to cause a certain level of discomfort. And by "people" I don't just mean the birthday boy or girl — I also mean you, too. If you don't like to be touchy-feely, don't go this route. The "sentimentality" factor - The more sentimental you and the recipient are, the more sentimental your chosen poem should be! Conversely, the less sentimental you and the recipient are, the less sentimental your chosen poem should be! The "caring" factor - The more you care about the recipient, the more sentimental your chosen poem should be! Conversely, the less you care about the recipient, the less sentimental your chosen poem should be! Basing your choice on these factors will lead to a poem with the right amount of sentimentality for you and the birthday boy or girl. 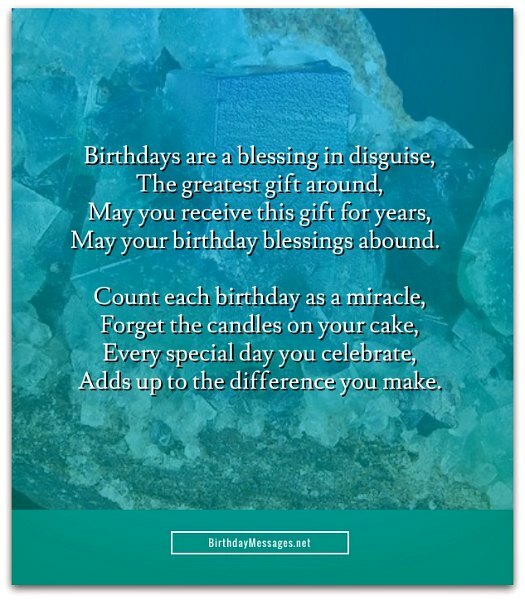 In my "Sentimental Birthday Poems" section, you have a wide choice of slightly to highly sentimental poems to choose from, so just pick the one that works for you and the recipient of your birthday message. The only other thing you need to know is how to tell if a poem is any good. What makes a good poem? For me, it's all about speaking the truth through words. For dailywritingtips.com, a good poem paints "a picture with carefully chosen words. It should have a point that a reader unknown to the poet can respond to." For more poem tips from this site, click here. Or get started right away — you'll find plenty of sentimental birthday poems here for the birthday girl or boy to relate to. Bottom line: Choose this route if the recipient likes heartfelt messages. If not, stick with a “happy” poem, even a funny one. And see your wishes all come true. Happy may your birthday be. May your birthday blessings abound. Adds up to the difference you make. Happy birthday and all the best. I'm so very thankful to you. You and I were such goofs. I'd smear it all over your face. And cover your face ear to ear. Once again for old time's sake. One simple wish just wouldn't do. Starting now on your birthday. A friend through and through. Nothing sweeter's ever come my way. The perfect time to celebrate. May you stay blessed in every way.